Presently, most New Yorkers are attempting to flee the city before the ThanksGiving nor’easter arrives. However, I — having no desire to pay holiday flight prices to Florida — plan on spending this stormy 4-day weekend doing something that really matters: shopping! Now before you go judging me, know that the past 5 holiday seasons I’ve spent entrenched in retail madness. Last year I ate Chinese food for thanksgiving dinner then reported to work at Target by 9pm. Black Friday shopping has rarely been a possibility for me since I’m always working. So this year, I plan to take full advantage of the approaching sales. Obviously, I’ll need more than my fair share of Starbucks to cope with the early morning crowds and ferocity of other shoppers. Maybe I’ll even get to review a Starbucks during the mad dash for Christmas gifts. 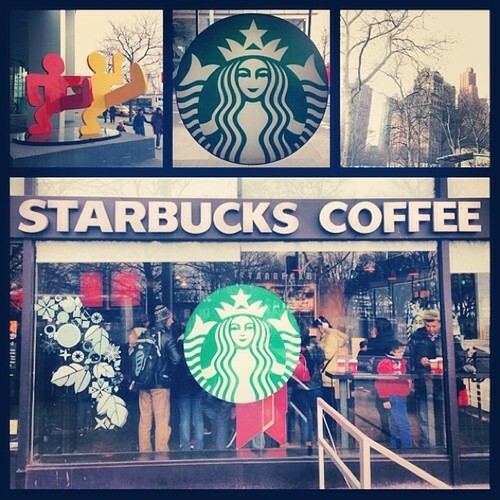 But before all that drama starts, I decided to visit Manhattan’s southernmost Starbucks in the small South Ferry area. This isn’t really a neighborhood; it’s more like a small section of ports and docks for those wishing to catch a ferry to either Staten Island or Governor’s Island. 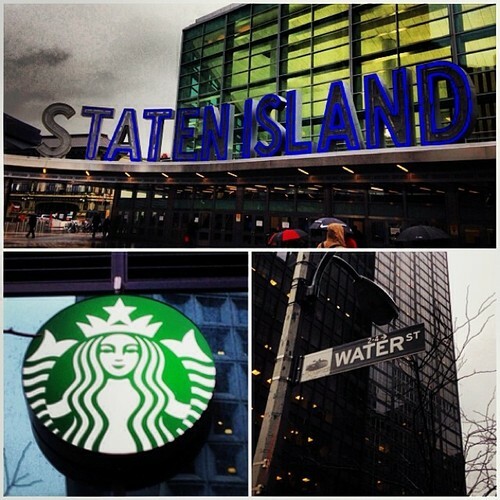 The Starbucks is directly north of the 1-train’s South Ferry station and is located inside the New York Plaza — a very oversized and elegant residential building. Unfortunately, the exquisite taste of the building cannot make up for the fact that the Starbucks is as small as a Midtown studio. There’s no seating or public restroom and just enough space to receive your drink, U-turn and head back outside. Most likely, this Starbucks was put in place to catch the subway and ferry crowd while simultaneously solidifying the elegant stature of the New York Plaza.